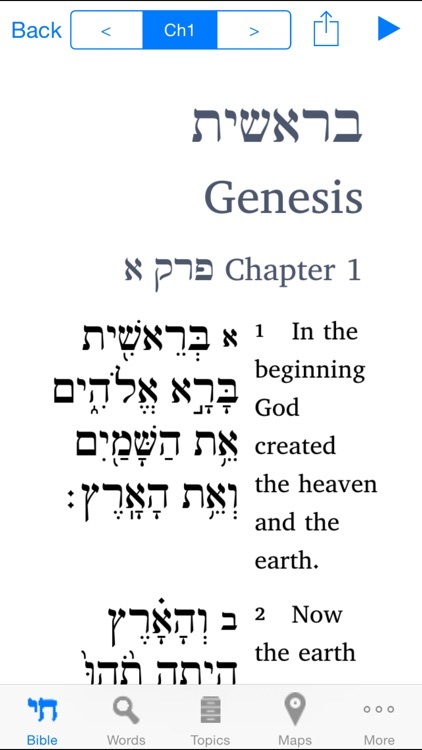 When reading a book or chapter (regardless of the version selected), it is also possible to listen to the Hebrew version of the selected book/chapter being read by pressing the "Play" button at the top of the page. 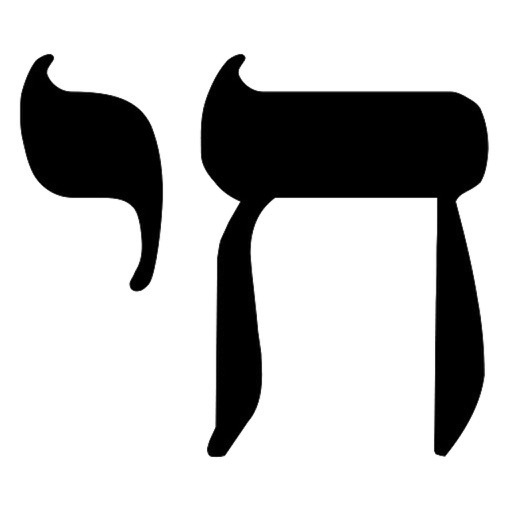 The audio readings are pronounced in Sephardi-style Hebrew. 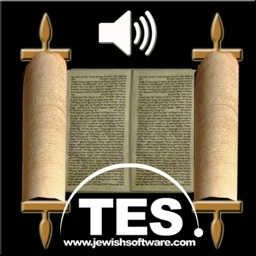 In additon to a "Book"-based reading approach, it is possible to also toggle to a "Parashah"-based approach (a Parashah is the weekly synagogue Torah/Haftarah reading). Both Ashkenazi and Sephardi Parashah readings are supported. 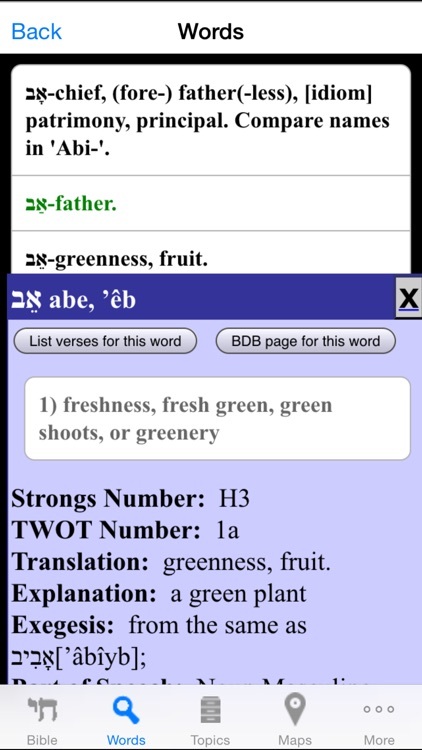 While reading the Hebrew and Hebrew/English versions, if you touch any Hebrew word, you will be presented with a pop-up English definition. 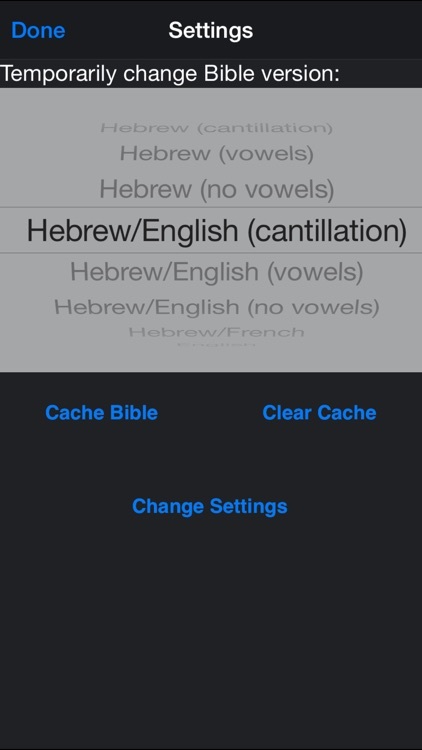 From the popup, it is also possible to display a list of all the verses in the Hebrew Bible that contain that word. 2. 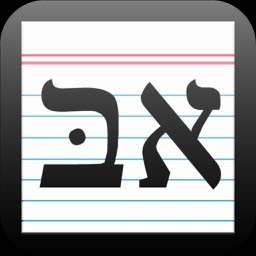 Words: This is useful for learning more about specific Hebrew words and for discovering related words. One can lookup words by "Root" by selecting the first two letters of the Hebrew word root. 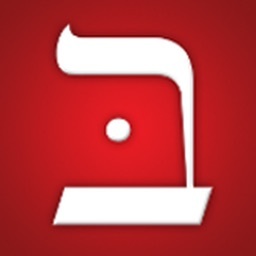 A listing will be displayed of all Hebrew words (and, optionally, Aramaic words and/or proper names) that begin with those two letters. Once the list is displayed, touching a word will open up a further level of detail about the selected word (and, optionally, all verses that contain that word or the BDB page for that word). Alternatively, one can use the "Translate" function to translate words or sentences or go directly to the word detail via the "Strongs" number lookup function. There is also a word search facility. 3. Topics: There are links to key topics (over 200 people/places/things) in the Wikipedia online encyclopedia. 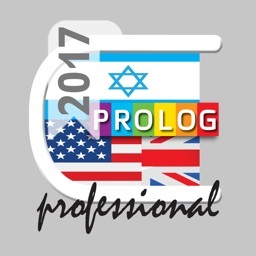 One can access topics by Bible book, by "Meta" topics, and a consolidated list of all topics. 4. Maps: There are maps of almost every location (over 1,000 locations) mentioned in the Hebrew Bible. It is possible to display multiple different locations on a map and to clear previously selected locations from a map. 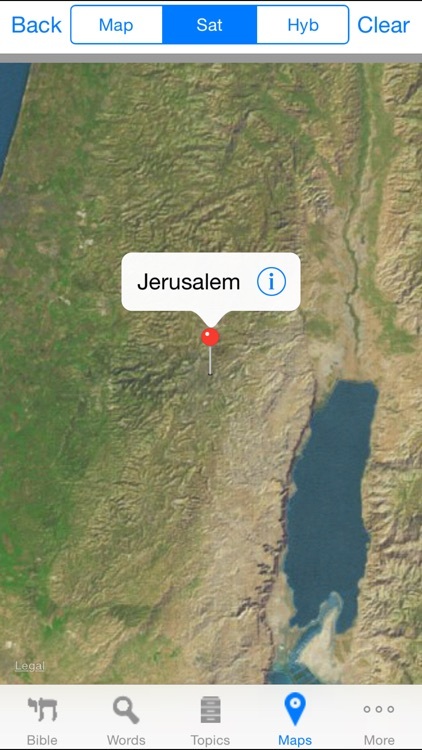 One can access Maps by Bible book or a consolidated list of all maps. 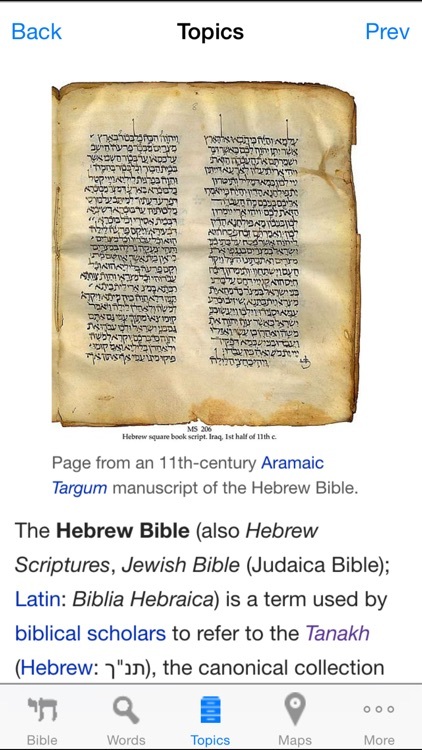 By selecting a location on the map and touching the "callout detail disclosure" symbol (the "right arrow"), one can see a listing of all verses in the Hebrew Bible that mention that location. 5. BDB: The Brown–Driver–Briggs Hebrew Lexicon is probably the most commonly used Biblical Hebrew Lexicon. A complete copy of this lexicon is accessible from within the application. In additon, individual pages can be displayed via the word lookup functionality. An Internet connection is required in order to use some content in this application but most core functionality is maintained locally.